Tune-Up Kits Kits include Matched Accel Custom Fit Wire Set, Accel Distributor Cap & Rotor and Accel U-Groove Spark Plugs Free! Everything you need to Super Tune your truck or SUV! 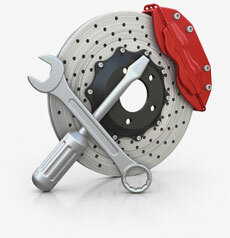 14 applications covering most Chevrolet & GMC late model 6 & 8 cylinder a pplications. 8mm Custom fit Extreme 9000 wire set with Heat reflective Coat spark plug boots rated to 1200¦F. Double silicone wire with low resistance Ferro-SpiralÖ core. The finest distributor cap and rotor available, precision molded in impact resistant high dielectric strength compounds. Most applications in tan with brass or copper inserts and stainless steel contact springs. Renowned, race-proven U-Groove copper core spark plugs maximize burn efficiency for improved performance and reduced emissions. Note: Certain kits are also available with ACCEL Shorty Header Spark Plugs for added plug clearance on vehicles equipped with headers. These kits are designated with the HP suffix. 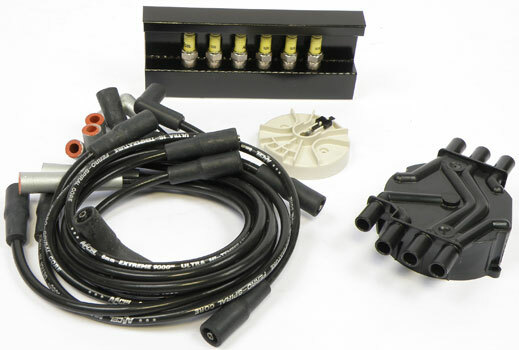 These kits have a slightly higher price reflecting the inclusion of the premium spark plugs. Not all kits are available with header plugs.